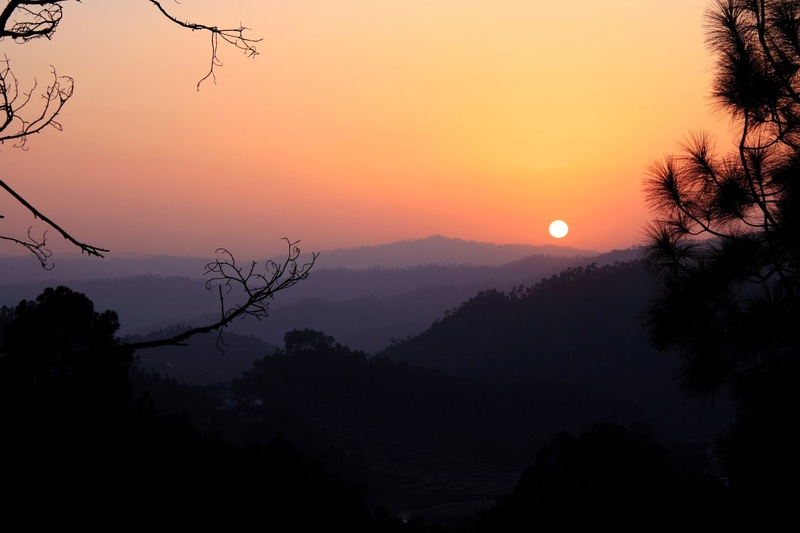 When you visit unexplored little towns like Binsar, you realise how much the madness of city life keeps you away from the little joys. Pure, pollution-free mountain air, the fragrance of pine trees, the splendid mountain views and the sound of chirping birds—it is exactly what you want from your vacation. But for me personally, it was the stay at Club Mahindra, situated in the centre of the valley, that I enjoyed the most. And I had the opportunity to interact with a group of great travel bloggers, such as Arun Bhat, Prashanth M, Shrinidhi Hande and Arun Nair. I was in the nascent stage of becoming a travel writer then, and their zest for travel and their captivating writing really inspired me. Our visit to Zero Point—situated inside the Binsar Wildlife Sanctuary—proved to be the most memorable aspect of our trip. At an altitude of 7,913 ft above sea level, at this spot you can get a glimpse of 300 km of the mighty Himalayan range that includes the Kedarnath peak, Trisul and Nanda Devi. Another spot I highly recommend you visit is the Jageshwar Temple Complex. The complex houses over 120 temples that are built in the Nagara architecture style (the top portion resembles a bee hive). Unfortunately, they are not as well maintained as they should be. Hopefully that will change soon. The temples bear intricate carvings of different gods, such as Lord Shiva and Goddess Durga. 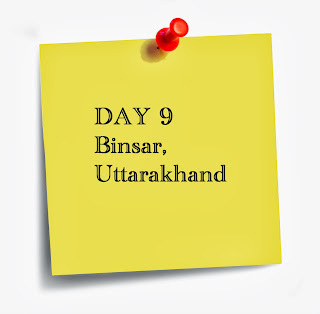 If you’re looking for a relaxing vacation with a dash of adventure, Binsar would be a pretty great choice. get to Kathgodam, and then take a bus to Almora. from Delhi via Hapur, Moradabad, Rampur, Rudrapur, Kathgodam, Bhowali, Almora. I stayed at Club Mahindra and I really enjoyed my stay. The room had wooden accents like a log cabin with tastefully done interiors. Plus, there are several outdoor activities you can partake. For instance, they offer rock climbing and camping equipment. They even have indoor games for the lazy ones.